For the mash-up post I thought I would share some yummy teas to coincide with some of my favorite characters from novels! I scoured Etsy for the perfect blends so some of the names of the teas are perfectly matched (ahem, Nightwatch tea) and it was so fun to do! 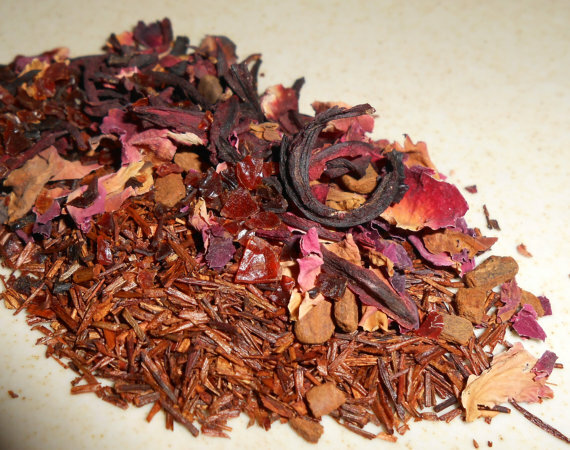 Black Forest Tea – This blend is dangerously dark and delicious. Subtle but rich, the sweetness from the vanilla and cherries is balanced by the nutty bitterness of cacao and tangy raspberry. It is a great balance between dark and light, sweet and bitter to match Sybella’s conflicting characteristics. 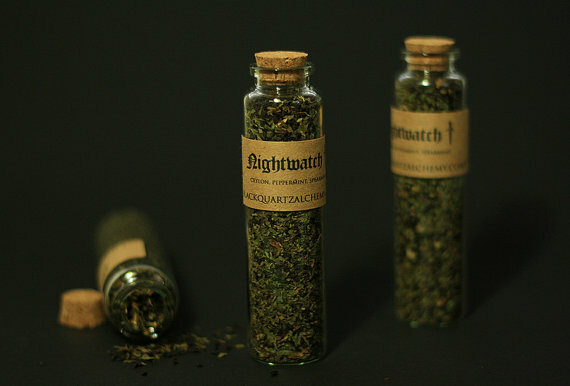 Nightwatch Black Tea – A Ceylon based blend with a heady mint scent and a dark, mellow flavor. The mild, earthy flavor along with its refreshing mint bite contains Ceylon Black Tea, peppermint, and spearmint. A good mix of mellow earthy flavors mixed in with the mint makes a perfect blend for Jon while he takes refuge from the cold on The Wall. Strawberries & Cream Dream Tea – Our infusion is specially crafted from real strawberry pieces mixed with hibiscus, rosehip, and infused with natural strawberry and vanilla flavouring. A stunning Strawberries & Cream Infusion that is naturally sweet and very fruity with a tangy taste. Perfect for Dorothy while she is visiting Ozma in Oz, back home on the farm she is more likely to drink some southern sweet tea! 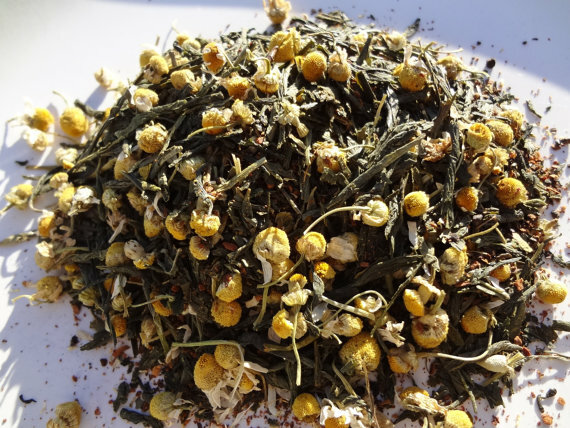 Red Head – A tangy, red zing tea blend! 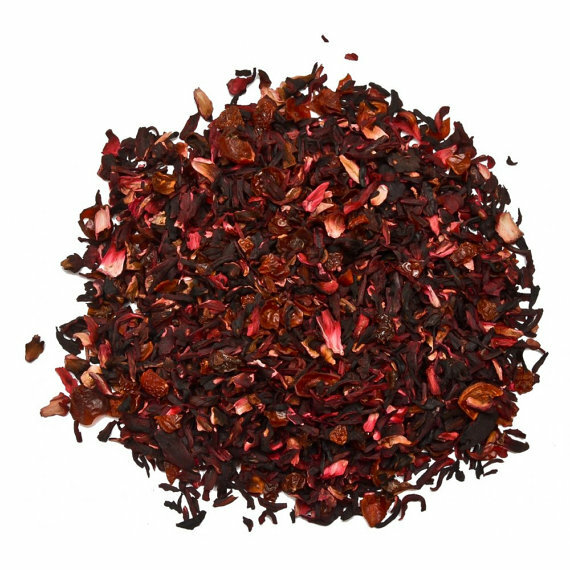 It features mellow red rooibos tea, but with a vitamin C kick of hibiscus, rosehips, and red rose petals. For an added bit a spice (You know redheads! ), we’ve added some cinnamon chips. Excellent, spicy and smooth, just like Kvothe! 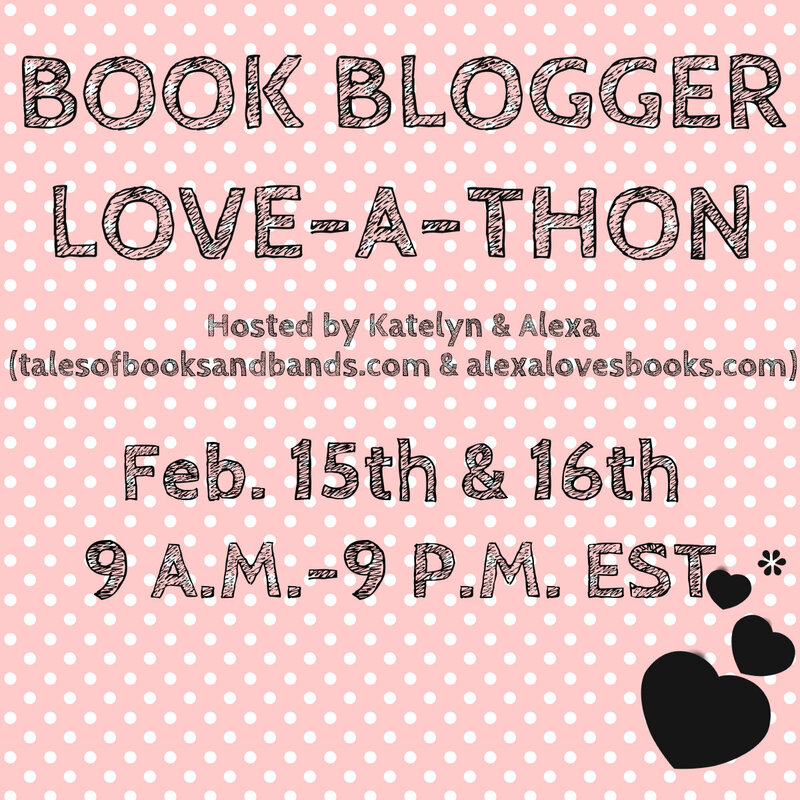 Don’t forget to check out Alexa or Katelyn’s blog for more info on the Love-A-Thon and use the hashtag #LoveAThon on Twitter! 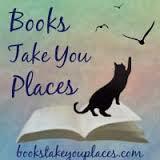 This entry was posted in Miscellaneous and tagged Book Blogger Love-aThon, books, characters, food, tea, teas. Bookmark the permalink. These pairings are so cute! It makes me wish I could like tea. I’ve tried, but I’m just not a fan. GASP! How can you not like tea?! Perhaps you haven’t had the right kind. Come over and I will share. Such a creative mash-up! I love black tea, and Jon Snow…so yah…purchasing this right after this comment. Only 5 buck! Don’t know if my comment showed, but thanks to this post, I am buying some Nightwatch tea! Woo. 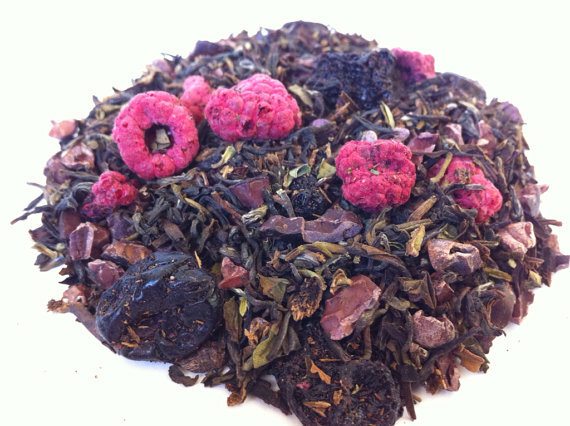 Jon Snow inspired black tea…just whoa. Great choices! It makes me want to check out all of these teas! I am definitely more of a tea person, especially while reading. Such a perfect choice for Sybella!! I know I maybe bought them all after writing this post myself..ahemm.. Such a great post! I love that you found all those teas with the perfect names for each character. The Sybella and Jon Snow teas sound PERFECT. And Kvothe. Sigh. Love him. Um, EXCELLENT post. I love tea too! I think the ones you picked out for Sybella and Dorothy sound absolutely perfect.